For most people suffering from a terminal disease, receiving the prescription for a cure would be cause for celebration. The individual with HIV or AIDs would be exuberant. The cancer patient, having already endured a round of treatment and remission before hearing the dreaded diagnosis, "I'm sorry, it's back" would be beside themselves with the news. There would be champagne and confetti and dancing in the hallway if they were to receive the same instructions that Naaman was given: "go to the river, get in the water, and wash. Repeat six times, and you will be cured." Instead, this afflicted man stormed off in a rage. The ego of an army general had been trampled on, and he was not about to take orders from the servant of a foreign prophet. His reaction is best compared to a toddler writhing on the floor, or an adolescent stomping to their room and slamming the door. 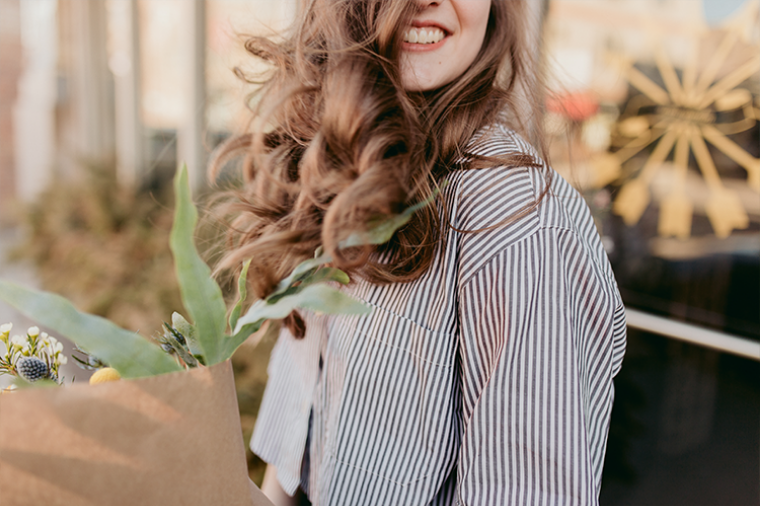 It is a tantrum of immaturity and selfishness, and it's what tends to happen when we come to God with expectations of how He should move in our lives— our way, our timeline, and in the way that costs us the least amount of pain or sacrifice. The story of Naaman, from the book of 2 Kings, begins with Naaman arriving before the King of Israel with an entourage. He expected that a miracle would be provided inside the courts of royalty, from the hand of the King. It is a bit odd that he arrives at this conclusion after being told by a young Israelite slave that, ”there is a man of in Israel who can heal you." In this story, we hear familiar words as God whispers, "You look at a man on the outside, but I see the heart." As an army general, Naaman would have been used to being treated with almost celebrity status, so going to the King of Israel would be a natural first stop. When the King sends him away, he is both humiliated and insulted. Disappointment number two came when, after traveling to the house of "the man of God," he was not immediately greeted by Elisha. Naaman had wrongly presumed there would be a warm welcome, and instead, Elisha's servant was sent with a message for the leprous man. The third strike occurred when the servant shares the simple directions with Naaman. He had expected a grand performance (which is why he came with such exorbitant offerings.) Naaman was seeking the remedy, but he wanted to write the terms. His desire was to be seen and validated. The first time I read this verse, I heard the question, “Isn’t that most people?” A different translation writes their statement this way: "Master, if you had been asked to do something great..."
A couple of millennia later, and we are still struggling with this very issue. We want to feel important, and we want our mission from God to be full of grand ideas requiring massive strength, ingenuity, and charisma. We want God to hand us the daring assignment, the arduous task— the "great thing." But what is our response when what He delivers are simple commands, instead of grandiose plans? Have we dismissed the answers to our simple prayers because they were too basic? 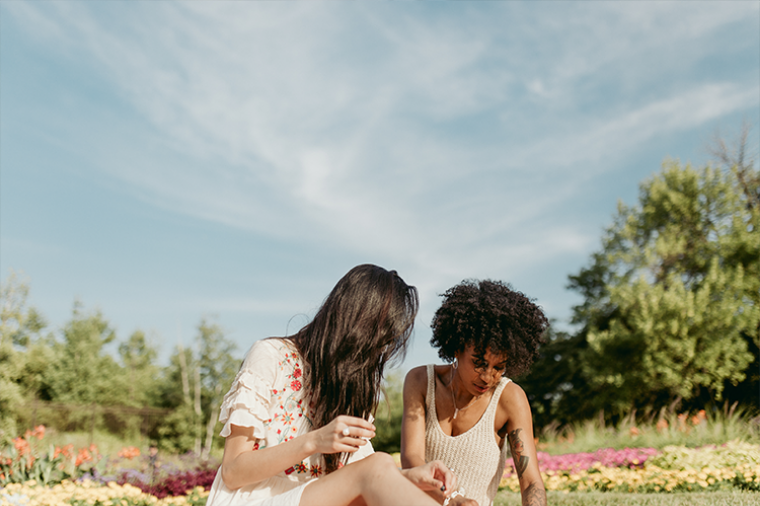 We beg God to open doors for us to experience "authentic community," and He suggests, "make the first move; invite someone over," or, "choose vulnerability." We are eager for our business to become wildly successful and we roll our eyes at His instruction to "give back generously." We ask God to increase our platform and give us greater influence, and He points to the single-mom next door, the leadership of our church, or our children, and tells us to "start there." How many times have we stalked off in a rage, just like Naaman, because God didn’t respond to our expectations (or demands) the way we wanted. Restoring Naaman's physical body was only part of the miracle. God's power wasn't limited to mending Naaman’s body; God intended to rewire his heart also. Naaman could have gone to another river, washed seven times and remained afflicted. He could have plunged into the Jordan six times and not been revived. He could have asked his servants to bathe him on the bank and continued to suffer because the miracle wasn’t in the water— it was the result of a yielded will. Choosing to obey is challenging for many of us, not because what He’s asked us to do is particularly difficult, but that the place He's motioning us toward, or the task before us, isn't glamorous. 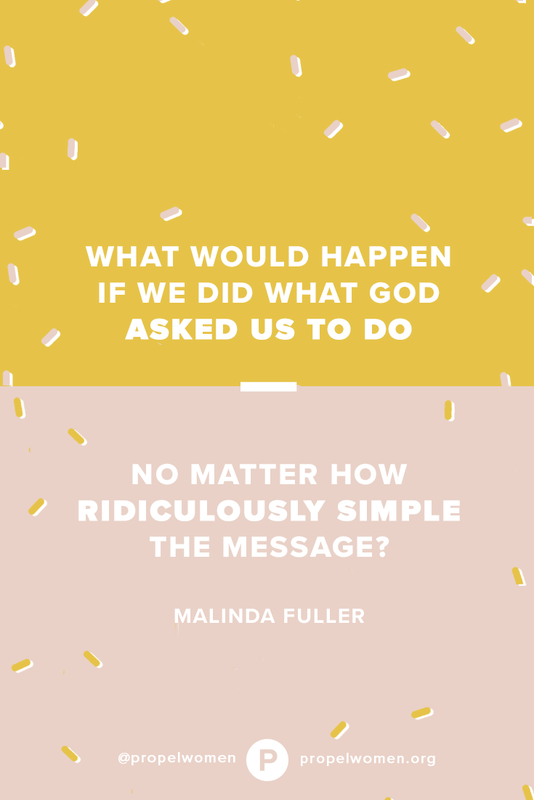 What would happen if we did what God asked us to do— no matter how ridiculously simple the message? Malinda is a writer and homeschooling mom who is passionate about seeing families thrive, and individuals develop an authentic faith. She and her family serve in their local church in Northern California and are always searching for the next adventure. Malinda regularly shares on her website and Instagram about what it means to live intentionally.